A velvety face gel that diffuses light and blurs imperfections. Iconic skincare brand La Mer creates age-defying products that become the stuff of beauty legend. Jennifer Lopez, for example, has been known to slather her entire body in the brand’s famed Creme (intended for the face, but we can’t blame her). 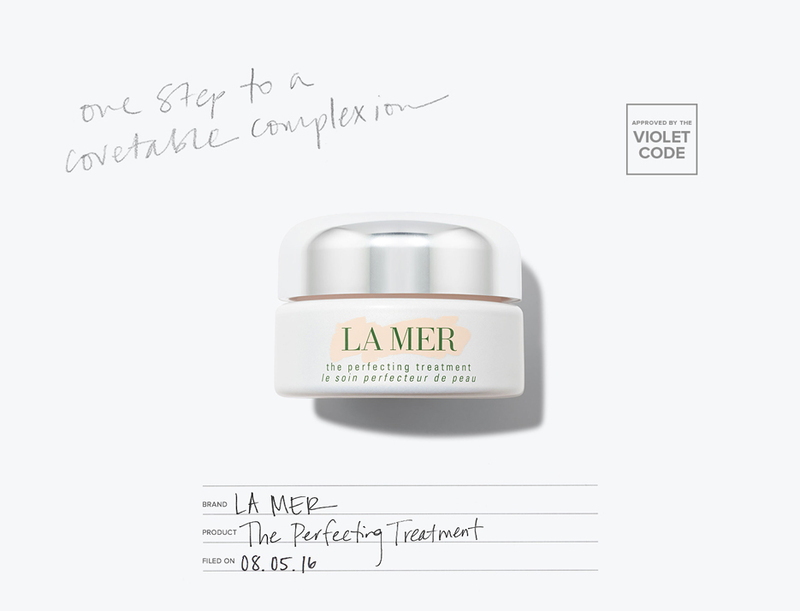 And La Mer’s latest offering, The Perfecting Treatment, is quickly inspiring equally fervent devotion among the VIOLET GREY community. The new multitasking formula wears many hats: It’s the answer to every French girl’s on-the-go prayers as a whisper-light, all-in-one moisturizer/primer, or the shortcut to a flawless glow when your face needs a breather from foundation. How it works: The fast-absorbing pink silk gel includes a healthy dose of La Mer’s proprietary Miracle Broth (a secret blend that includes elements like hand-harvested kelp and semiprecious stones) to soothe skin, a dash of rose-algae to even tone, and a pinch of soft-focus filters to soften pores. Effects include a megadose of hydration and an improved complexion with a supple, residue-free finish. Consider it magic in a bottle.